Abdulkadir Karaduman: "they Became The Figures Of The Slave Order"
›Abdulkadir Karaduman: "They became the figures of the slave order"
Saadet Party Konya deputy Abdulkadir Karaduman spoke at the meeting of the heads of youth districts and provinces. Saadet Party General Center Youth Branches, Regional and Provincial Chairmen's Meeting was held with a wide participation. Participation of 81 provincial representatives and regional heads participated in the program held at the Party Headquarters Meeting Hall. 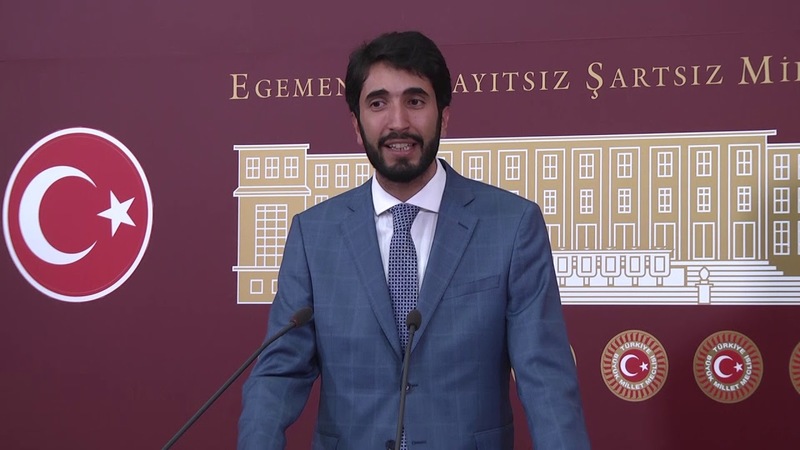 Speaking at the meeting, Saadet Party Konya deputy chairman of the General Center Youth Branches Abdulkadir Karaduman made importan statements. Karaduman, "Those who set out to change, those who set out to correct, what they wanted to change themselves became part of it. Those who claim that the monarchy established in our organization Erbakan Hodja, today they completely eliminate the ground for consultation in Turkey. And unfortunately, they built the one-man regime. Those who set out for freedom became the actors of the slave order." he said. Karaduman, who reminded that Necmettin Erbakan's birthday was realized, said: Erbakan Hodja was the best way to explain what a single person can do and what a person can achieve in this life. During the day Mujahid, and at night, Zahit Erbakan Hodja, May Allah bless him. Our vision is to look at the path of Erbakan Hodja, not falling in the National View. National Opinion falling to the youth, not the finger that Erbakan show, fingers point to the destination that is a livable Turkey, Turkey, and to re-engage older ideal of a new world." he added.